Submitted by mahoney on Thu, 07/10/2008 - 12:59pm. NAPA AUTO PARTS USA INCLUDING ALASKA AND HAWAII...The National Automotive Parts Association (NAPA) was founded in 1925 to meet America's growing need for an auto parts distribution system. It is a retailers' cooperative that distributes parts to both corporately and independently owned auto parts stores. NAPA's largest member is Genuine Parts Company (NYSE: GPC), (founded 1928) which operates 58 of NAPA's 69 distribution centers. NAPA's only other member, since the acquisition of NAPA Hawaii by Genuine Parts, is Quaker City Motor Parts of Pennsylvania. 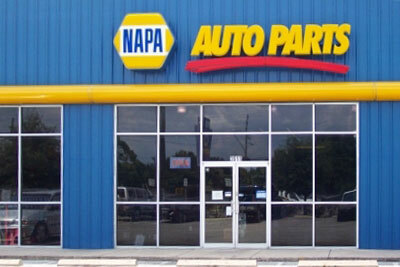 The management of Genuine Parts and NAPA are highly integrated. NAPA has 6,000 Auto Parts stores, 69 Distribution Centers, 13,000 affiliated NAPA AutoCare repair facilities, over 320,000 parts in inventory every day, and ASE-Certified Parts Professionals. NAPA is a supplier of replacement parts, specialty parts and equipment for the automotive repair, collision, heavy-duty truck, and industrial markets. NAPA serves automotive consumers through the UAP (United Auto Parts) division of Genuine Parts and NAPA Autopro repair facilities in Canada, Auto Todo in Mexico and other locations throughout the Caribbean and Latin America. NOTE: If you know of a location I left out, please email me that location(s) and I will add it to the file, Thanks! Added a new location in Merritt Island,FL and corrected the location in Cocoa,FL. Submitted corrected address for the location in Buxton,ME and added new location in East Waterboro,ME. Corrected the coordinates for the location in Groveland,FL. Corrected the coordinates for the location in Torrington,WY. Submitted the change for the Stroudsburg,PA. It has relocated to 320 North First St.
Added locations in Fort Smith,AR and England,AR. Reformatted and updated the file. Net increase of 1443 locations.